Exteme Hangover Defense Patch - Quick Solution to Stopping Hangovers. Designed to replace those lost nutrients and kick that brain fog and headache to the curb. Time released delivery. Replace vital nutrients lost when drinking. Assists in eliminating alcohol in your system. Vital nutrients are lost when drinking alcohol that can leave you feeling less than chipper the next day. 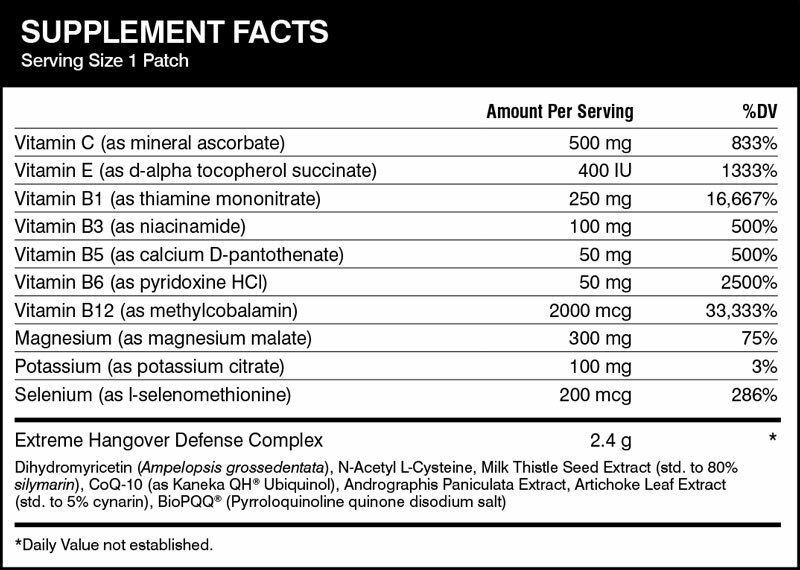 The Vitamin Patch Extreme Hangover Defense is designed to replace those lost nutrients and kick that brain fog and headache to the curb. Our proprietary formula has key ingredients to actually assist in eliminating alcohol from your system and support healthy liver function. The best news is that it only takes one time released topical patch put on before the cocktails begin to flow to give you the best chance of making it to that morning meeting! And, if you had a few more than usual and wake up still feeling a bit less than perfect, put a second Extreme Hangover Defense patch on to help get you through the day. Don’t let a few cocktails with friends leave you regretting the next morning. 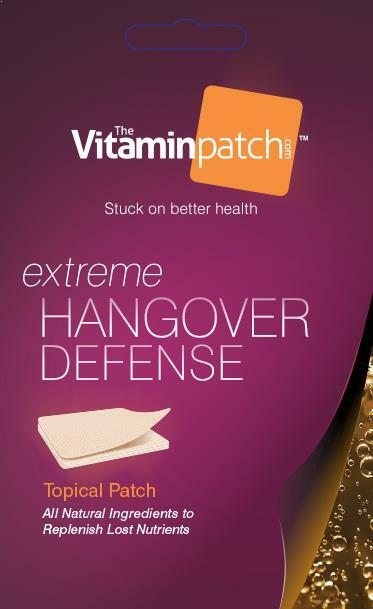 Let The Vitamin Patch and Extreme Hangover Defense help you enjoy the fun and still feel your best!